Pure Dental Health (Dunwoody) - Book Appointment Online! 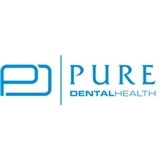 Pure Dental Health a modern and technologically advanced dental office located in Buckhead/Midtown on Peachtree Road and Dunwoody on Mount Vernon Rd. We offer all general & emergency dentistry services along with cosmetic treatments such as Six Month Braces, dental implants, invisalign, veneers, and much more! w/ IV Sedation Available. We strive to offer an excellent customer experience--from our amenities to our top notch staff your dental experience will be unlike any other you've experienced before-- all at in-network pricing! The doctors were amazing and very professional. Loved Dr. Faggioni, super nice! Fantastic team. I can smile again!